TAKING YOUR IMAGE to a Higher Level to elevate your Brand + Vision and promote your Success. No Project Is Too Large or Too Small. We seek out unique perspectives & blend elegant lighting with new digital techniques to create images that are bold & fresh yet authentic & timeless. Client value (ROI) is prioritized by a client's needs, budget pricing, strategic planning, and a focus on dynamic image composition & quality over quantity. Architectural and design photography that promotes the creative work of architects, interior designers, builders, entrepreneurs, professionals, craftsman & businesses that support a sustainable future is a core value! Teri Fotheringham is Denver Colorado’s award-winning architectural photographer specializing in high quality interior and exterior photography. Teri provides still photos to builders, architects, developers, interior designers, realtors, businesses and numerous others to assist them in providing a stunning first impression to their clients and for their marketing materials. Serving the Denver Metropolitan area and the mountain communities including Vail, Breckenridge and Aspen. All photos are copyrighted. A copyright originates at the moment a work is created. For a photograph, the copyright is created at the moment the the photographer clicks the camera. I am happy for you to add the photos to an ideabook. If you are using my photos for any commercial use, please contact me. As an experienced architectural photographer I create interior and exterior architectural photography of residential homes, condominiums, townhomes, apartments, and commercial properties. With refined skill and vision I produce impressive images for critically demanding clients that include interior designers, architects, builders, developers, home furnishing companies, decorators, landscape designers, real estate brokers/agencies, and anyone else requiring photography involving spaces and structures. With attention to detail and a goal to provide great value and service, I manage the whole photography process, and deliver images that exceed expectations, and work successfully for the client’s business. I am a Denver based architectural photographer and interior design photographer that covers all of Colorado and the nation. To see more of my work, please go to www.darcyleck.com - Thank you! Magazine quality photography for real estate and architectural design. Award winning and Realistic HDR photographers for Real Estate and Architecture. Formed in 2008 by Tahvory Bunting. Tahvory has a variety of experience, knowledge, and education that led to the development of Denver Image Photography. Tahvory has been in the real estate industry for over 20 years. 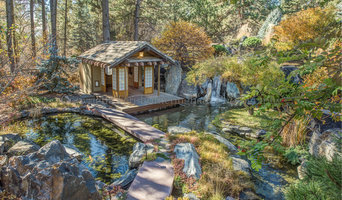 Most of her career has been spent in Colorado, although she has also sold and photographed real estate internationally. 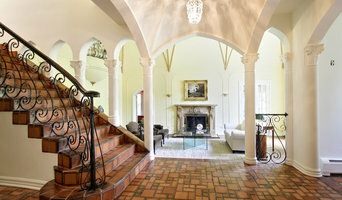 She has personally photographed 1000’s of properties including new condo developments, lofts, golf course properties, vacant land, riverfront development, beach front villas, ski-in/ski-out properties, before and after renovation projects, as well as high-end luxurious homes for sale, spa’s and restuarants. In 2011, her husband Billy Bunting joined Denver Image Photographer. Billy also photographs homes and helps with the day to day running of the business. Photographer TJ Romero created Architectural Storytelling to provide superb visual storytelling for the built environment. Trust TJ to capture the best angles of architecture, interior design, VBRO, and luxury real estate listings. 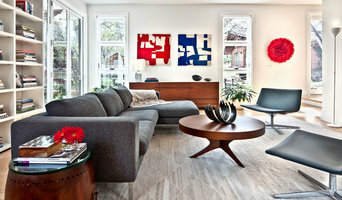 I am a Denver-based professional photographer specializing in architecture, interior design and hospitality photography. My goal is to provide my clients with affordable, quality photographs of their projects, large and small. I have photographed projects all over the country and am available for travel across Colorado and the US. Projects start at $250/shoot but most clients typically spend $500-750 on larger projects. Please inquire for more specific pricing based on your photography needs. I am a Denver based architectural and interiors photographer with six years of experience as both a staff and independent photographer with Sotheby's affiliated firms. Having grown up in the high end real estate industry, I have a strong connection to residential properties and a passion for capturing the design and feel of the spaces within. I'm inspired by finding creative ways to highlight what makes a property special. I cannot wait to create a strong, long-lasting, collaborative relationship with your architecture, construction, or design firm! Linda Jáquez is an Architectural & Commercial photographer, who has worked with architects, interior designers, the digital advertising industry and editorial clients for over a decade. As an independent contractor, Linda had contributed weekly to The New York Times Real Estate section, captured construction sites for the Westfield World Trade Center, shot interiors for Tiffany & Co, as well as special editorial projects for Hearst Publications. She’s even expanded into the world of digital advertising, as an on-set photographer working with J3, the award-winning media agency for Johnson & Johnson. After attending Brooks Institute of Photography, Linda discovered her passion for architecture and interiors while working at Peter Marino Architect. Using her high end retouching skills, Linda concepted and designed patterns, creating custom wallcoverings, curtains, printed fabrics and rugs for various private clients. After many years of being exposed to such projects for Chanel, Dior, Louis Vuitton and Loewe, Linda became an expert in high end retail and residential interiors, developing a passion for the craft and an understanding of the creative process. Having a background in high end interiors and design, coupled with her editorial and commercial talent as a photographer, Linda has fused together a solid understanding of branding and design processes in the architectural category. Currently, Linda works as a freelance photographer in NYC and is available for inquiries globally. I help my clients create the living space they need to live the life they want. Custom builds, remodels, organizing and updating your interiors to match your lifestyle and aesthetics are all within the scope of my craft. I work for you. Architects, interior designers, builders, developers, realtors, publishers, and more. My job is to capture your work, passion, and creativity - and to represent your intended vision. Photography of residential and commercial real estate in the Denver, CO area. A 20 year veteran of the film visual effects industry, David uses his highly trained eye to create precise, high resolution architectural photographs with inviting compositions. His work also stands out in its ability to reveal natural environmental lighting and draw the viewer into the space. David's photos have regularly appeared in regional and national publications. His attention to detail and the ultimate quality of images will ensure your project stands out a step above the rest. Creators of the HDReal automated imaging system, the only imaging solution that combines the most highly trained photographers in the industry with a proprietary automated image processing engine that generates beautiful, magazine-quality images at an incredibly affordable price. 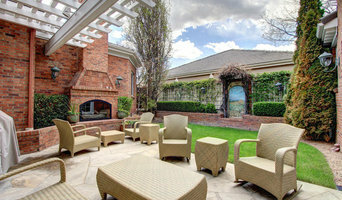 Colorado's premier HD Real Estate Photography and Virtual Tour provider. Founded by Denver native David McGrath, an award winning photographer with over 30 years professional experience. Okej, vad gör en arkitekturfotograf i Denver egentligen? Som du kanske gissat är deras jobb att fotografera hus, såklart. Deras uppdragsgivare varierar, det kan vara allt ifrån ett arkitekturmagasin till arkitektbyrån som ritat huset som vill ha bilder till sin hemsida för att visa upp sitt fina projekt. Det finns även mer konstnärliga böcker med arkitekturfoto. En inredningsfotograf eller bostadsfotograf i Denver då? Även här skvallrar namnet om vad de gör, deras jobb är att fotografera inredning och få den att framstå som så fin som möjligt. Ofta jobbar de med inredningsstylister och plåtar till olika inredningsmagasin. Här på Houzz kan du se många jättebra exempel på alster som en inredningsfotograf ligger bakom. Kika runt och se själv praktexempel på bra inredningsfoto! Mäklarfotograf då? De fotograferar inte mäklare gissar jag? Nix, de gör ju inte det. Oftast ordnar mäklaren med att en mäklarfotograf kommer för att fota din lägenhet innan den läggs upp för försäljning. Om du vill kan du givetvis fixa en inredningsfotograf själv, men oftast ingår det i de tjänster du köper av din mäklarbyrå. Vi hoppas att du har lärt dig något om såväl arkitekturfotografering som bostadsfotografering, och känner dig bekväm med att anlita en fotograf i Denver, CO inom någon av dessa fotogenrer. Lycka till!